Lovely readers, I apologize for my delays in posting. As with most of you, I'm caught up with adjusting to the beginning of the school year. In upcoming weeks I plan on reviewing a few apps and adding my two cents as it pertains to middle school. For now I want to share a few updates with you! As most of you know, I've been placed in a larger room this year. I'm slowly beautifying it and organizing myself. This post will mostly cover my upgrades to the room, but will also cover a recent purchase (read on!) that I am very proud of. This year I decided to purchase pocket charts to organize my students folders. 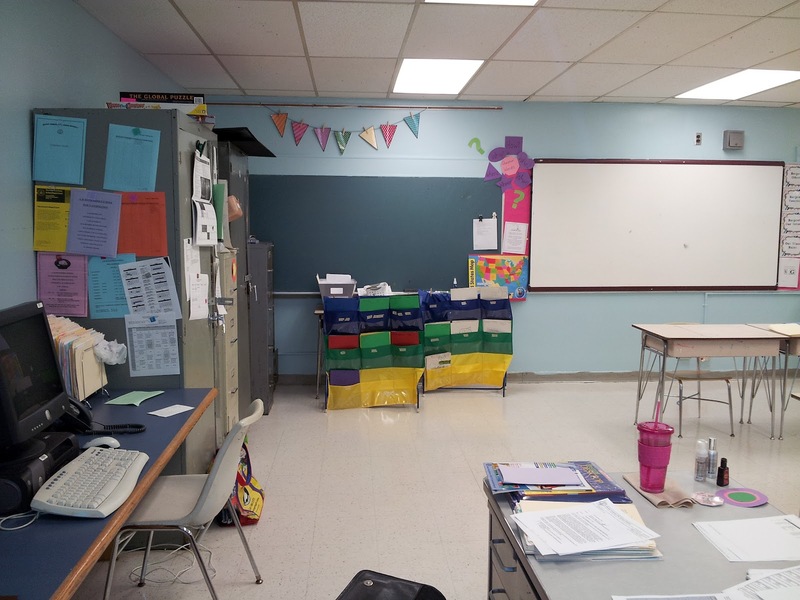 I bought two pocket charts, using one for my 7th graders and the other for my 8th (located at the base of the chalkboard in the picture). Each pocket was labeled by student class. This pocket chart organizational structure makes it much easier for students to find their work compared to the one large bin I has used last year. Feel free to ask about anything going on this corner. Now on to the other corner! The other corner of my room. I have a sink! 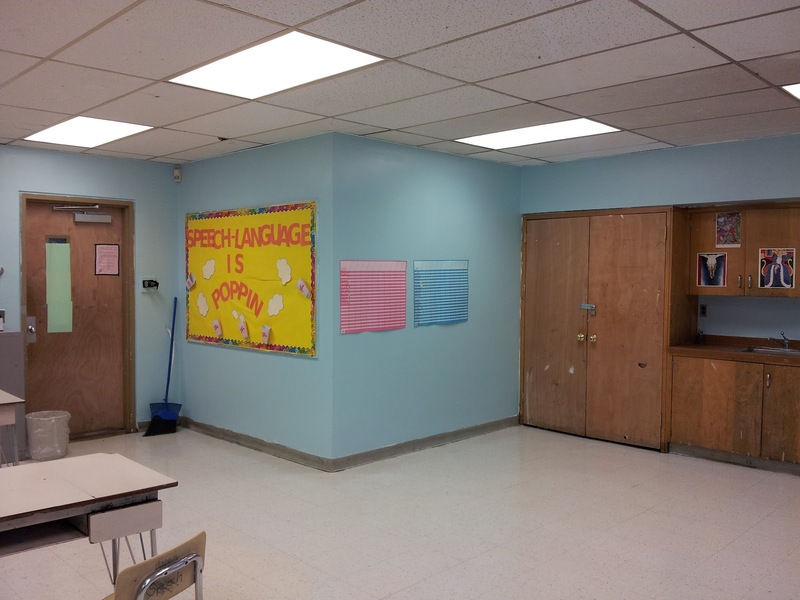 Notice the pink and blue student behavior charts. I've entered all my female students names on the pink chart and male students on the blue chart. After each session, if a student conducted themselves accordingly (followed directions, participated, demonstrated effort etc. ), they receive a sticker for the day. Those who accrue five stickers will have earned a prize. This year, the prize options are Hershey's Chocolate Bars or Twizzlers (for those with chocolate and peanut allergies). I did this last year and it proved to be quite motivating. For those who required a great deal of motivation, I used student performance cards in conjunction with this behavior chart. 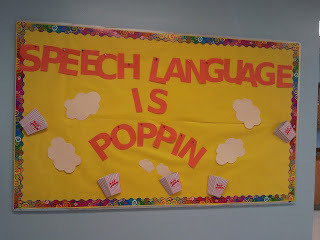 My bulletin board before its finishing touches. After the final touches. Ta-da! 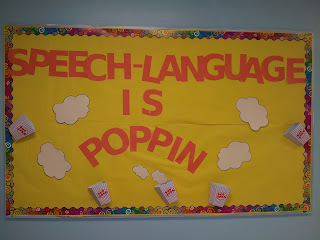 This year I put up a bulletin board in my room and created a post about it a few weeks ago. Since then I've added a few finishing touches on it. 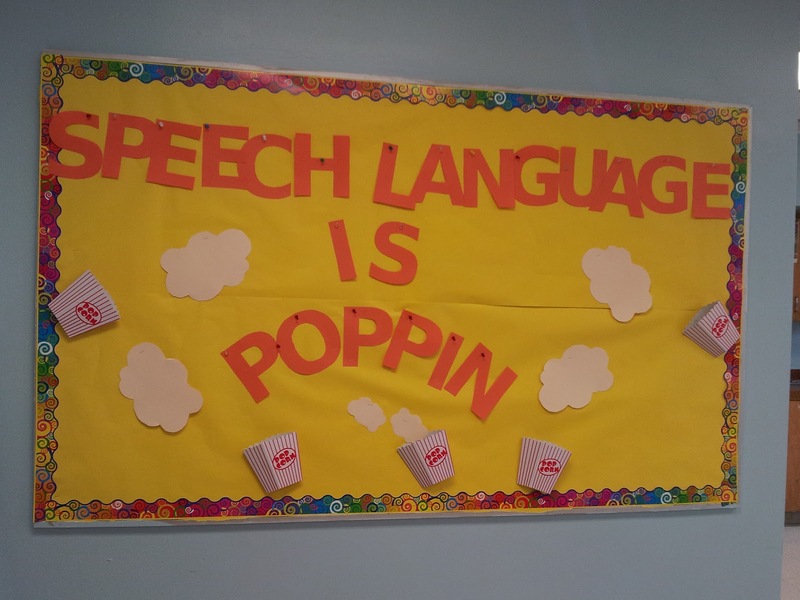 As you may (or may not) notice, I've outlined my popcorn with a black marker, as to make it "pop" more, also I stapled all the letters as opposed to securing them with thumbtacks. Lastly, I've added a hyphen in between "Speech" and "Language." What do you think? Colorful circles cut out of construction paper. These Pinterest inspired circles are my recent obsession! 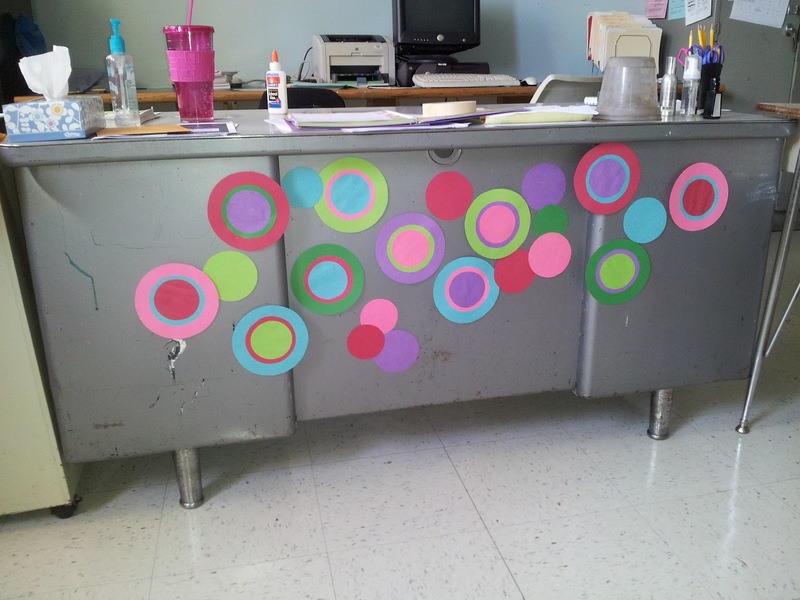 After tracing circles of varying colors and sizes I pasted them on top of each other other and stuck them to the front of my desk. I've added them to my widows and doors as well. 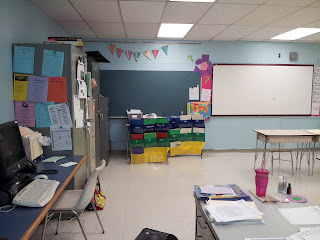 They add a bit of cheeriness to the room without being too cheesy for my middle school students. 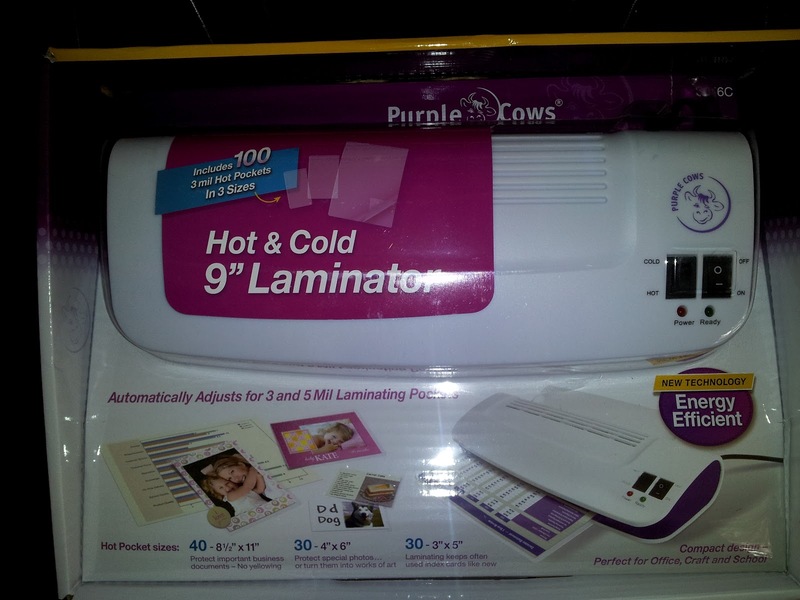 Love this hot and cold laminator, purchased for just under $20! 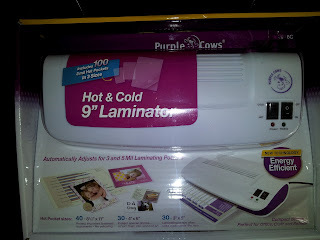 The purchase of my hot and cold laminator has really excited me. I'm now able to preserve all the wonderful checklists, activities, cartoons and seasonal images that I find on Pinterest! Purchased this joke book today for $2.50 at Five Below. 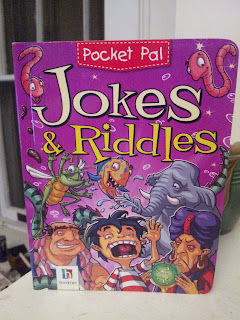 I love finding joke and riddle books, as it is a great way to target higher level thinking with my students. It is a great way to end if your session runs a bit short. I'm very excited about using the one I purchased today. 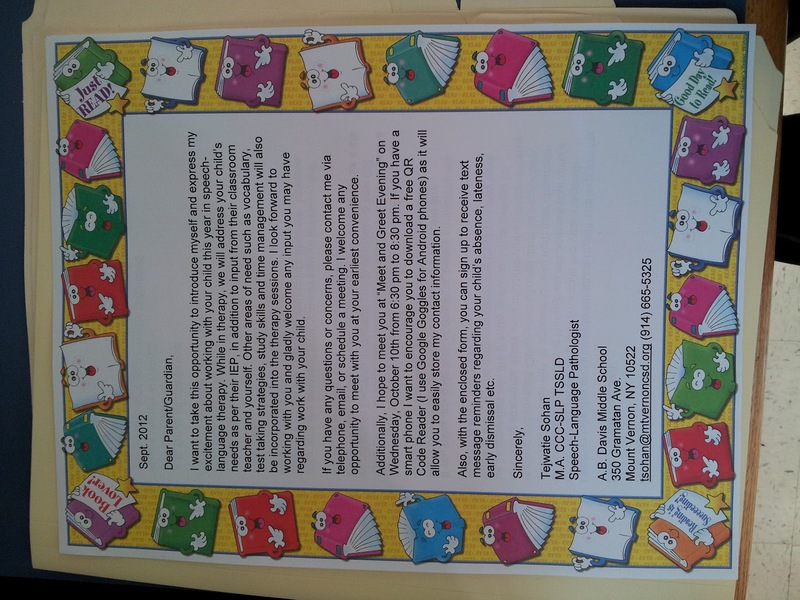 What and how have you been adjusting to the school year? Stay tuned for my future app reviews. Great room! And with a sink!!! Thanks Diana :) Lol Jenn, I was very fortunate to have been placed in that room this year...wonder where I'll be next year? I never thought laminating could be so much fun! You are so blessed to have such a large room!!! Sooooo jealous!! Enjoy!! Who knows if this room will be mine this year! I only ask for windows.